Richard Flury was appointed to the Board in 2004. He is a graduate of the University of Victoria (Canada). He spent over 30 years with Amoco Corporation, and later, BP plc, from which he retired as Chief Executive, Gas and Power and Renewables, on December 31, 2001, a position he had held since June of 1999. Prior to Amoco’s merger with BP in 1998, he served in various executive positions and was Chief Executive for Worldwide Exploration and Production and Executive Vice President of Amoco Corporation at the time of the merger. 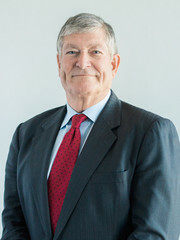 Mr. Flury’s many years of experience with a major oil and gas company, as well as his continued involvement in the industry through his other directorship positions, uniquely qualifies him to serve as the Company’s Chairman of the Board. We believe his executive-level perspective and strategy-making abilities will continue to prove beneficial to the Company. Mr. Bob was elected to the Board at the 2014 Annual Meeting. Mr. Bob has been the Founder and Managing Member of MB Exploration and affiliated companies since 1994. MB Exploration is engaged in the oil and gas exploration, development and consulting business. Mr. Bob currently serves as President of Eagle Oil and Gas. Mr. Bob also served as President of Hall Phoenix Energy LLC, a privately held oil and gas company, from 2009 to 2011. Prior to forming MB Exploration in 1994, Mr. Bob was Chief Geophysicist at Pitts Oil Company. He began his career at Union Oil Company of California where he held various geological positions. He is a member of the American Association of Petroleum Geologists, the Society of Exploration Geophysicists, the Dallas Petroleum Club, and is a registered Geoscientist in the states of Texas, Mississippi and Louisiana. He holds a B.A. in Geology from St. Louis University, an M.S. in Geology from Memphis University, and is a graduate of Harvard University’s Executive Management Program. Mr. Bob’s extensive knowledge of the oil and gas exploration and production business and technical expertise are an asset to the Board and qualify him as a director. Major General (Ret.) Faulkenberry retired from the U.S. Air Force in 2014 as a Major General (2-stars) after a 32-year career, finishing in the top 150 leaders of a 320,000-person global organization. Her last assignment was as Vice Commander (COO) and interim Commander (CEO) of a 37,000-person organization conducting all Department of Defense air cargo, passenger, and medical patient movements across the globe using 1,100 military aircraft plus contracted commercial aircraft. General Faulkenberry is currently an independent director for USA Truck, a publicly-traded provider of trucking services across North America, where she serves as Chair of the Technology Committee and as a member of the Nominating and Corporate Governance Committee. She is a National Association of Corporate Directors (“NACD”) Board Leadership Fellow and participated in the NACD Cyber Summit, both of which contribute to best practices in corporate governance and cyber security. 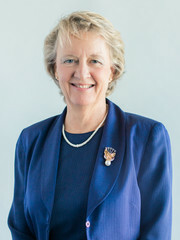 She received a BS degree from the Air Force Academy in 1982, an MBA from Georgia College in 1986, and a Master of National Security from the National Defense University in 1999. Mr. McVay was appointed to the Board in October 2007. Mr. McVay has been a Managing Director of Edgewater Energy, LLC, a privately held oil and gas investment company, since 2007. From 2003 until 2006, he served as COO of TNK-BP Holding, one of the largest oil producing companies in Russia. From 2000 to 2003, he served as Technology Vice President and Vice President of Health, Safety and Environment for BP. He also led the global E&P Operations Excellence effort for improving the operating efficiency of BP’s upstream operations. Mr. McVay earned a mechanical engineering degree from Texas Tech University, where he was recognized as a Distinguished Engineer in 1995. 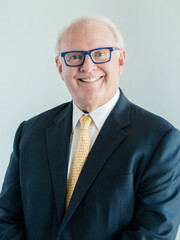 In January 2008, Mr. McVay became a member of the Board of Directors of Praxair, Inc., an industrial gases company in North and South America, where he serves on the Audit Committee, the Finance & Pension Committee, and is Chairman of the Technology, Safety and Sustainability Committee. Mr. McVay formerly served as a member of the Board of Directors of Chicago Bridge and Iron, N.V., a publicly traded engineering, procurement, and construction company, where he was a member of the Audit Committee, the Strategic Initiatives Committee and chaired the Corporate Governance Committee. Mr. McVay has been directly involved in nearly all aspects of the oil and gas industry, including drilling, production, finance, environmental risk, and safety. We believe that this experience and his knowledge of the E&P industry, particularly in the Permian Basin, as well as service on other boards of directors, provides invaluable insight in the development of our long-term strategies, qualifying him for service on our Board. 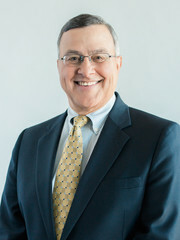 Anthony J. Nocchiero was first elected to the Board in March 2011. From April 2007 until September 2010, Mr. Nocchiero held the position of Senior Vice President and Chief Financial Officer for CF Industries, Inc. From July 2005 until March 2007, he was the Vice President and Chief Financial Officer for Merisant Worldwide, Inc. From January 2002 until July 2005, Mr. Nocchiero was self-employed as an advisor and private consultant. From January 1999 until December 2001, Mr. Nocchiero served as Vice President and Chief Financial Officer of BP Chemicals, the global petrochemical business of BP p.l.c. Prior to that, he spent twenty-four years with Amoco Corporation in various financial and management positions, including service as Amoco’s Vice President and Controller from April 1998 to January 1999. Mr. Nocchiero holds a B.S. degree in chemical engineering from Washington University in St. Louis and an M.B.A. degree from the Kellogg Graduate School of Management at Northwestern University. Mr. Nocchiero has previous experience serving as a member of the board of directors of various public and private companies including Terra Nitrogen LP, Keytrade AG, Vysis Corporation and the Chicago Chamber of Commerce. He brings to the Company a broad knowledge of the oil and gas industry, as well as extensive experience with finance and M&A related transactions. In addition, Mr. Nocchiero has the accounting and financial management expertise to be considered a “financial expert” as defined and required by the NYSE rules and the Exchange Act. Since joining the Board in 2011, he has provided valuable and constructive strategic insight and has been diligent as Chairman of the Nominating & Corporate Governance Committee, and has contributed great chemistry to the operation of the Board as a whole. We believe Mr. Nocchiero’s background as a CFO, as well as his significant oil and gas background and executive management experience developed as part of his long career with Amoco and BP especially qualifies him for continued service on our Board. Mr. Trimble was elected to our Board at the 2014 Annual Meeting. Mr. Trimble was appointed to the Board of Directors of Talos Energy, LLC (NYSE:TALO) in May 2018. Mr. Trimble was appointed to the Board of Directors of Stone Energy Corporation (NYSE: SGY) in March 2017, and then appointed interim Chief Executive Officer and President effective April 28, 2017 until May 2018. 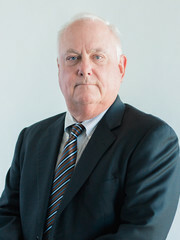 Mr. Trimble served as CEO and President of PDC Energy, Inc. from 2011 until his retirement effective January 1, 2015. Mr. Trimble was an officer of PDC in September 2013 when twelve partnerships for which PDC was the managing general partner each filed for bankruptcy in the Federal Bankruptcy Court, Northern District of Texas, Dallas Division. 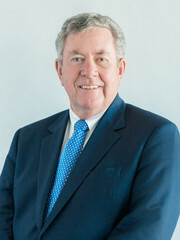 From 2005 until 2010, Mr. Trimble was Managing Director of Grand Gulf Energy, Limited, a public company traded on the Australian Securities Exchange, and President and CEO of Grand Gulf’s U.S. subsidiary Grand Gulf Energy Company LLC, an exploration and development company focused primarily on drilling in mature basins in Texas, Louisiana and Oklahoma. From 2000 through 2002, Mr. Trimble was CEO of Elysium Energy, a privately held oil and gas company. Prior to this, he was Senior Vice President of Exploration and Production for Cabot Oil and Gas, a publicly traded independent energy company. Mr. Trimble was hired in July 2002 as CEO of TexCal (formerly Tri-Union Development) to manage a distressed oil and gas company through bankruptcy, and that company filed for Chapter 11 reorganization within 45 days after the date that Mr. Trimble accepted such employment. He successfully managed the company through its exit from bankruptcy in 2004. Mr. Trimble currently serves on the Board of Directors of Crestone Peak Resources LLC (a private company operation in the DJ Basin of Colorado), a position he has held since December 2016. Mr. Trimble previously served on the boards of PDC Energy from 2009 until June 2016, and C&J Energy Services LTD from March 2016 to January 2017 to assist with its Chapter 11 process. He also served on the board of Seisgen Exploration LLC, a small private exploration and production company operating in southern Texas from 2008 to 2015, Grand Gulf Energy LTD from 2009 to 2012, and Blue Dolphin Energy, an independent oil and gas company with operations in the Gulf of Mexico from November 2002 to May 2006. Mr. Trimble is a registered professional engineer who provides the Board a valuable source of engineering, drilling, and oil and gas operations management expertise. His experience as a CEO and board member enhances the Board’s knowledge of current developments and best practices in the industry. Joseph C. Gatto, Jr. joined the Company in April 2012 as Senior Vice President, Corporate Finance, with responsibility for our capital markets and strategic planning functions, in addition to investor relations activities. Effective March 31, 2014, Mr. Gatto was appointed Chief Financial Officer and Treasurer of the Company and in August, 2016 was promoted to President, while retaining the roles of Chief Financial Officer and Treasurer. In May, 2017 he was promoted to Chief Executive Officer, while retaining the role as President. 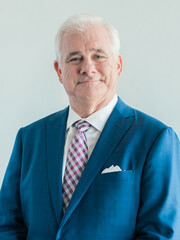 Mr. Gatto was appointed as a member of the Board of Directors in May 2018. 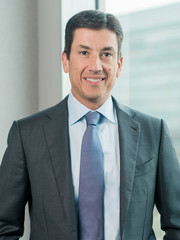 Prior to joining Callon, Mr. Gatto was a Managing Director in the energy investment banking groups of Merrill Lynch & Co. and Barclays Capital from July 1997 until February 2009, with involvement in all phases of M&A and capital raising transactions for his clients. In February 2009, he founded MarchWire Capital, LLC, a financial advisory and strategic consulting firm, and subsequently served as Head of Structuring and Execution with Merrill Lynch Commodities, Inc. from January 2010 until November 2011. Mr. Gatto graduated from Cornell University with a BS degree in 1992 and The Wharton School of the University of Pennsylvania with an MBA in 1997.